Johanna Mendelson Forman is a Distinguished Fellow with the Managing Across Boundaries Initiative at the Stimson Center, where she works on security and development issues, including regional multilateral engagement, civil-military relations and stabilization and reconstruction. 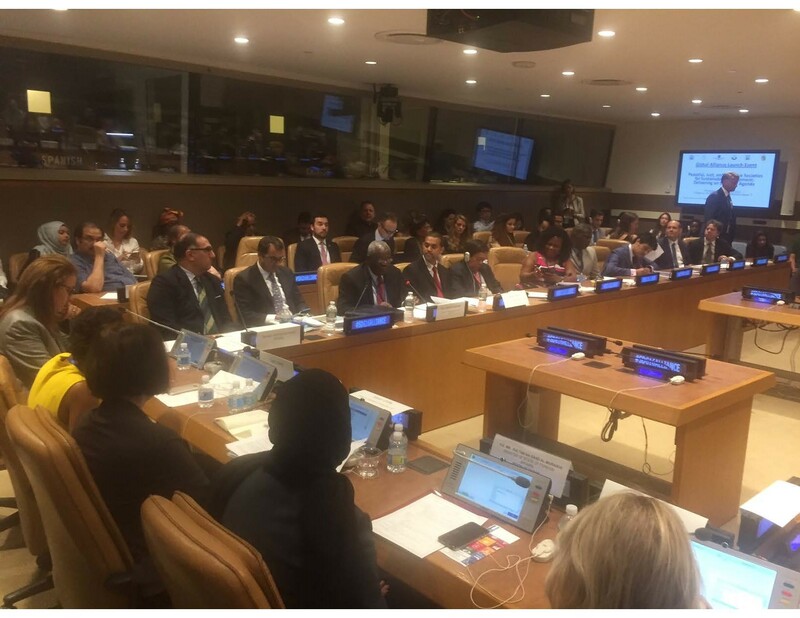 Featured speaker at the high-level Sustainable Development Goal #16 event, held on 22 September 2016 at the United Nations, on “Peaceful, Just, and Inclusive Societies for Sustainable Development: Delivering on the 2030 Agenda” (alongside former U.N. High Commissioner for Human Rights and President of Ireland, H.E. Mary Robinson; the U.N. General Assembly President, H.E. Peter Thomson; the Minister of State for Foreign Affairs for the State of Qatar, H.E. Sultan bin Saad Al-Muraikhi; and UNDP Administrator and former Prime Minister of New Zealand H.E. Helen Clark). For Professor Gambari’s remarks, please click here. Featured panelist at United Nations Day policy dialogue on 24 October 2016 in Washington, D.C., co-organized by The Stimson Center and Center for American Progress, on the theme of “Coping with the Refugee Crisis and Violent Conflict: Bold Ideas for the next US President and UN Secretary-General.” Other panelists included William Durch, Johanna Mendelson Forman, Melanie Greenberg, Cindy Huang, Hardin Lang, and Vikram Singh (moderator), with introductory remarks by Richard Ponzio. For further details, including the event video, please click here. Keynote speaker at the 57th Strategy for Peace Conference, organized by the Stanley Foundation from 26-28 October 2016 at Airlie House in Warrenton, Virginia. 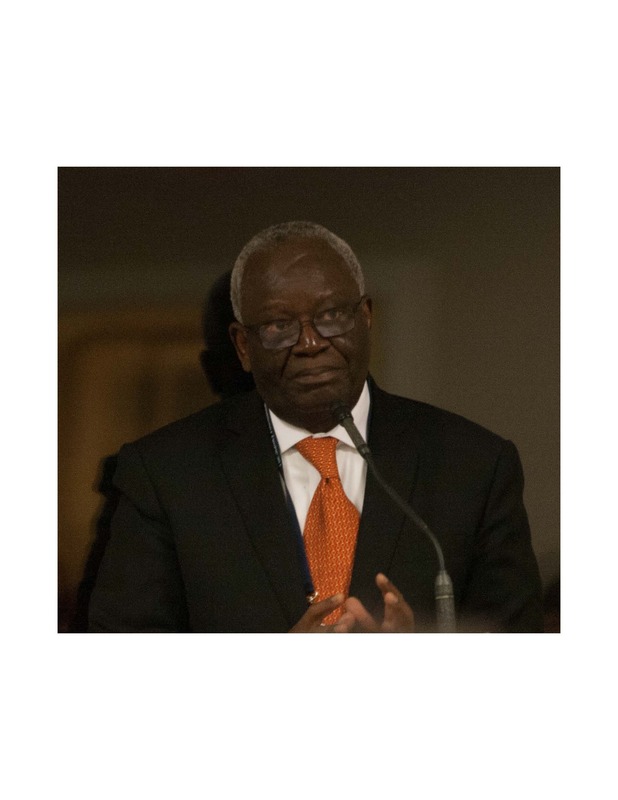 To access Professor Gambari’s speech on “Confronting the Crisis of Global Governance: The Road to 2020”, please click here. Joris Larik and Richard Ponzio participated in the conference’s roundtable on “A Multistakeholder Governance Agenda: What are the Opportunities?” (click here), and for the report from the related six-week e-consultation on “Cooperative Multistakeholder Action: Constructive or Confusing Global Governance?”, authored by Richard Ponzio, please click here. Special guest of the State of Qatar for discussions, along with Richard Ponzio, on the work of the Commission on Global Security, Justice & Governance from 21-22 November 2016 in Doha, including a presentation on “The Albright-Gambari Commission and the Crisis of Global Governance” to faculty and staff at the Doha Institute for Graduate Studies. Keynote speaker at the University of Copenhagen’s conference on “Creating a more conducive space for collaboration on peacebuilding”, from 25-27 November 2016. For Professor Gambari’s lecture on the “Role of the UN in Peacebuilding”, please click here. In addition, Richard Ponzio delivered talks on issues related to Stimson’s Just Security 2020: Advancing the Recommendations of the Commission on Global Security, Justice & Governance program at the “PRIMO 2016 Conference on Navigating the Political: The Study and Practice of International Relations in Turbulent Times” (29-30 September, Oxford University) and “New Topics in Global Justice” conference (28-30 October, Yale University).